It’s always interesting to learn what the pressures and promises are in dealing with social media and media sources including reporters and such. 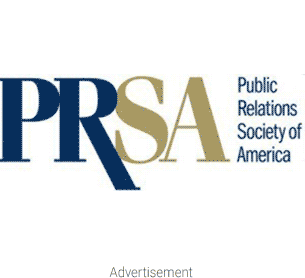 So the Public Relations Global Network (PRGN), a large international network of independent PR agencies, did a media survey checking in with reporters, CEOs, and business leaders. Here are some of the results as reported by Bianchi Public Relations in Detroit. Each question on the survey got at least 110 responses, and they were asked to find out how media professionals deal with CEOs and leaders before and in interviews. Other questions were about how reporters and such believe their responsibilities have changed regarding social media, video, print, and audio. The top four answers to this question were them looking at industry or market knowledge; considering professional track record, analyzing past new, and assessing the leader’s personality. Research tools included past coverage of the CEO for their credibility, company websites, information supplied by the PR people, search engine info, company annual reports, professionals the reporter knows that also knows the leader, and more. But one thing to note, not one person listed social media as their first tool of choice. About two-thirds of them will consider doing an interview via email or in writing, and more than two-thirds will give interviewees the chance to review any direct quotes before publication. In two years, the requirement of print content had decreased by more than 10%. But online content requirements are still at 89%. Also, more reporters are being required to perform on social media. While there has been a 13% increase in the need to provide visual content on social media too. PRGN currently has 51 agencies in their ranks and is found in 40 countries and six continents. It has been around for 25 years. If you want more information on the survey or other tools offered by the network, go to www.prgn.com.